1. Make sure you have Rhinoceros 6 or Rhinoceros 5 installed. 2. If you haven't installed Mesh2Surface yet, you must download and install it. The installed version is a fully functional version which can be used for 14 days. After 14 days the software will stop working and will request an activation key. 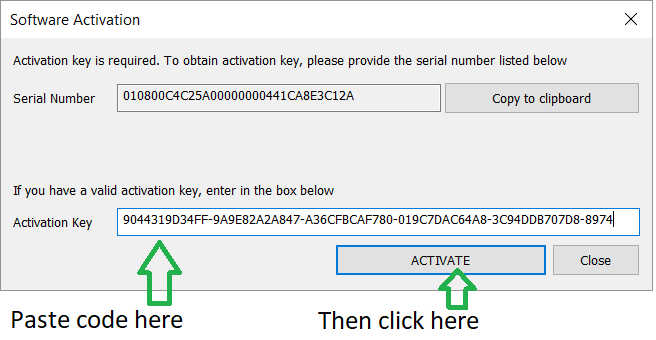 The activation key is based on the computer MAC address. 4. Press 'Copy to Clipboard' as seen in the image and then press Close button on the dialog. 5. 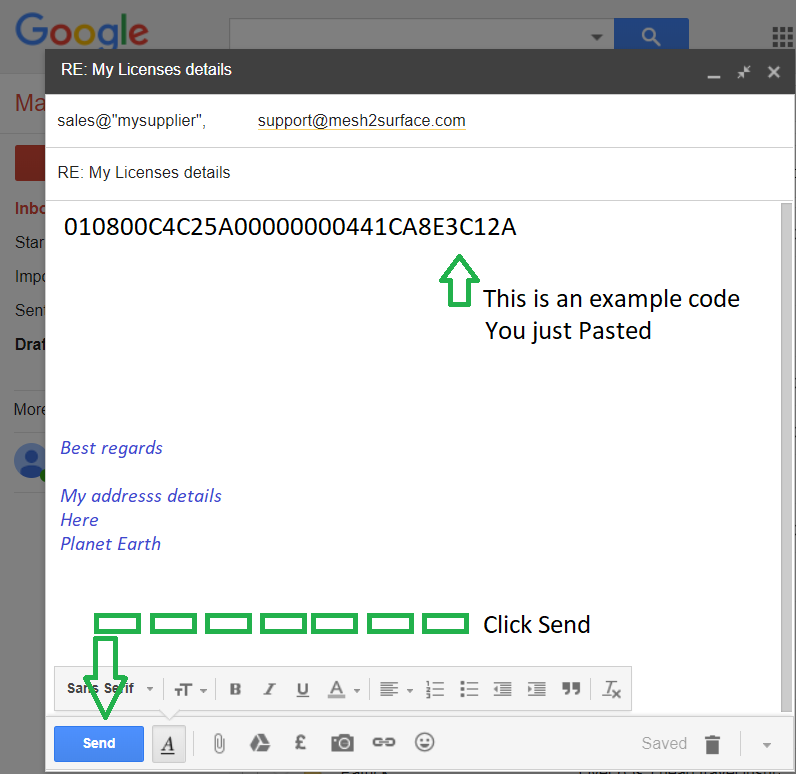 To obtain a license key, open your e-mail client and right click in the empty message area. Select Paste option from the drop down menu. The serial number appear in the message body. 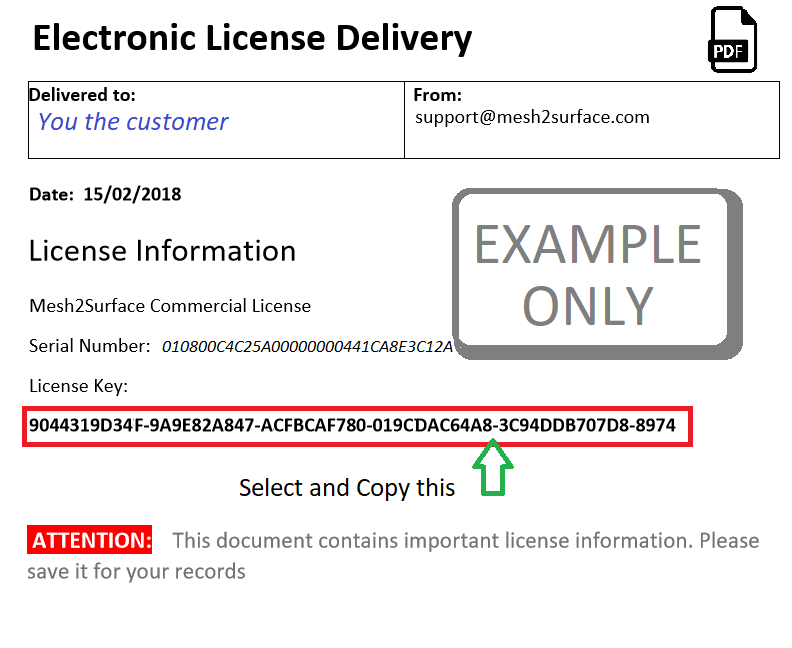 Enter the email address of your authorised Mesh2Surface reseller and cc us “support[at symbol]mesh2surface.com Enter a message reference and include your name details. Click SEND . If you find on exiting Rhino and then next time you launch Rhino that Mesh2Surface is not running, then exit Rhino. Right click on Rhino and run as administrator, then re-enter the activation key. If this is not possible, please contact your IT person to help you have access to do this. If you need a time bound period, we will be happy to provide you with additional 14 days evaluation time. This time should be enough to find if the plug-in is right for your applications. Contact us to request time based license key. Mesh2Surface for Rhinoceros 5 64 bit version can be used with Zoo 5 server. Contact us for integration details.